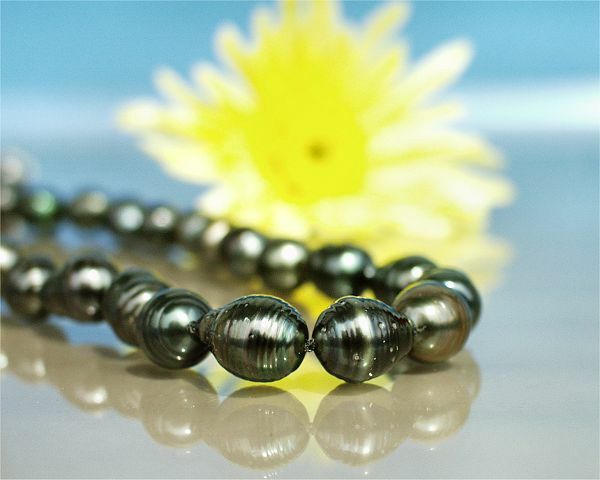 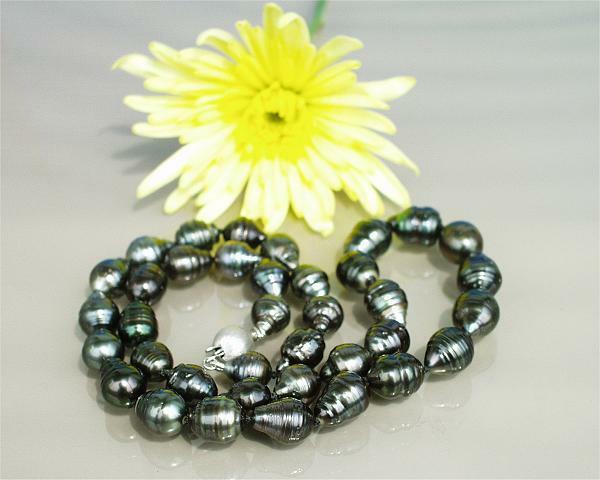 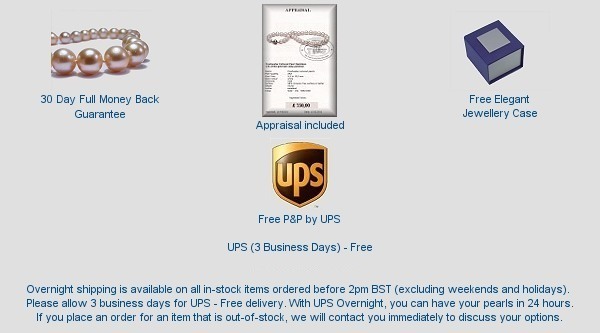 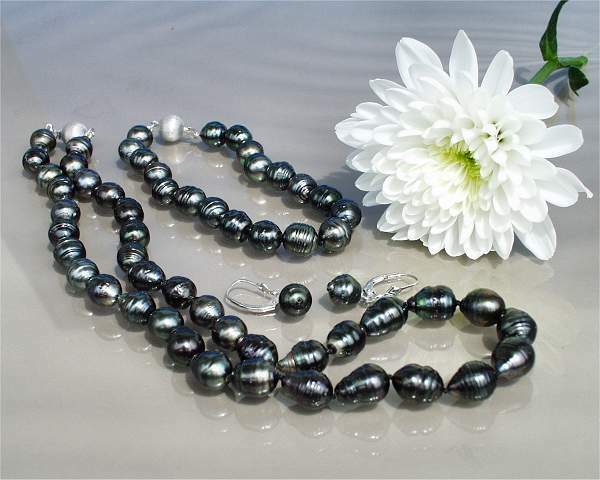 Baroque Pearls at Selectraders: This baroque pearl set is made of tahitian cultured pearls: pearl necklace (18 inch), pearl bracelet (8 inch) and matching pearl earrings. 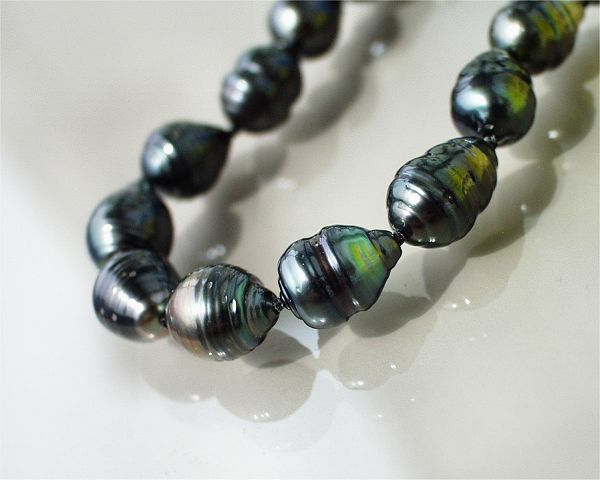 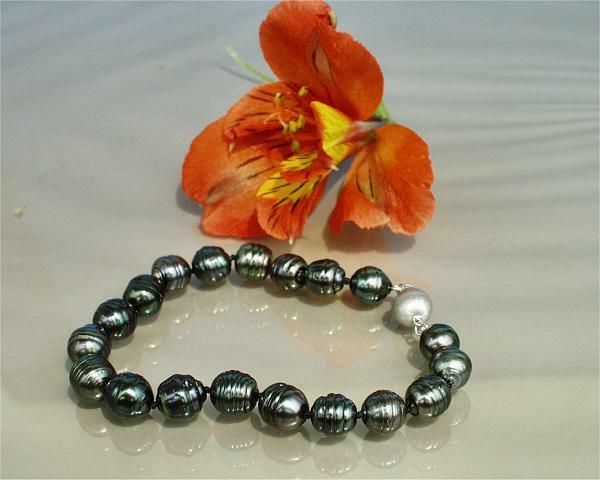 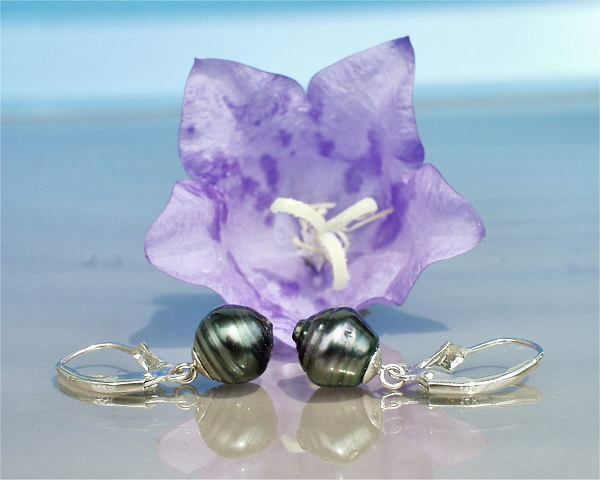 The baroque cultured pearls in a size of 8.0 - 9.5mm have a grey body colour and pink peacock green overtones. 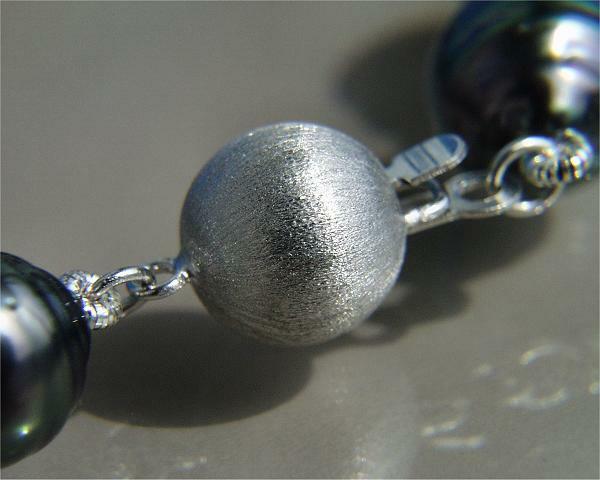 All clasps and posts are made of 14 karat white gold. 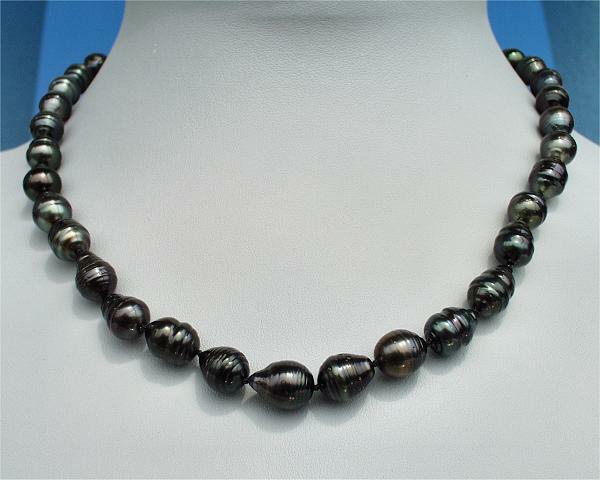 Baroque pearls are cultured pearls that are not round but rather areasymmetrical and free-form in shape, they come in a variety of sizes and colours and can occur in all types of cultured pearls.